Miele Australia introduces the new TempControl induction cooktops designed to consistently achieve first-class cooking results every time without manual intervention or risk of overcooking. Typically, the temperature in a pan will continue to rise during cooking, even if heat output remains constant. If the heat isn’t turned down in time, food easily overcooks or can get burnt. 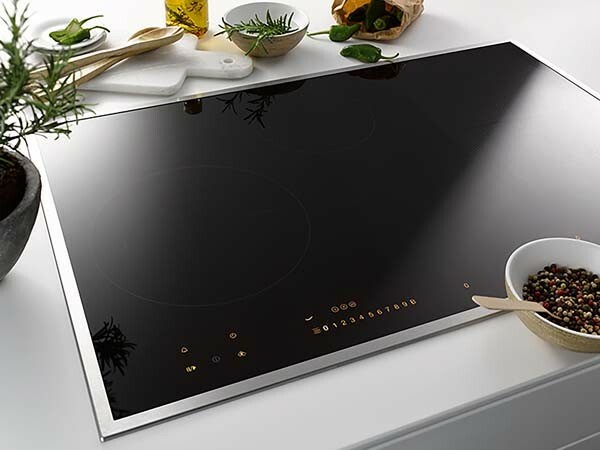 The Miele TempControl induction cooktop manages this issue using sensors embedded in its ceramic screen that detect the characteristics of the material and the temperature of the pan. Power is then regulated automatically to ensure that the food in the pan is subjected to a uniform and constant cooking temperature, regardless of whether the pan lid is fitted or not. The Miele TempControl induction cooktop comes with power ranges encompassing a wide gamut of foods, allowing them to be prepared reliably and easily. For instance, Range 1 keeps the temperature at a constant 160°C, making it ideal for frying eggs, fish and most deep-frozen products; Range 2 is the best choice for frying steaks at a temperature of 200°C; and Range 3 at 220°C is recommended for wok cooking, making pancakes or any cooking where a higher temperature is required. Key features of Miele TempControl induction cooktops also include a simmer setting for the preparation of sauces and gravy or whenever cooking at a low power output is required; a Keep Warm Plus function for gently reheating food and keeping it hot; PowerFlex zone alongside the TempControl ring allowing two individual rings to be combined to form one single large ring or a rectangular casserole zone; and choice of two widths, 75.2cm or 76.4cm with both sizes presented in models for flush worktop installation or with stainless steel trim. These induction cooktops also come with a new user interface, SmartSelect: Operating controls are displayed in yellow on the classic black ceramic glass screen; while in the model for flush installation, white controls (SmartSelect White) are displayed on a modern ceramic graphite black screen. All Miele TempControl models feature the smart [email protected] 2.0 function, which can be combined with an appropriate Miele rangehood for the extraction to be automatically adjusted to what is cooking on the induction unit below. Miele TempControl induction cooktop units are available at Miele Authorised Retailers or Miele Experience Centres around Australia and the Miele shop online.